ISTPs are a contrast of qualities. They’re imaginative people with a strongly practical bent. They have no patience for purely abstract or theoretical ideas, preferring to think about things that can be used to improve or change the real world. And this applies to their friends as well, which is why they’re more interested in what people do than what they think. These contrasts can make them a real mystery to some people, who don’t understand the ISTP mindset or can’t work out how to get closer to them. 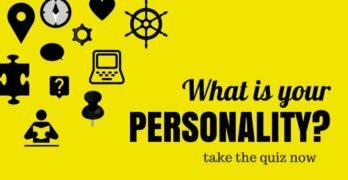 So if you want to understand a little more about this seemingly confusing personality type, this article will teach you more about them. ISTPs can be a bit of a puzzle for most people. They’re friendly and can make friends easily, but sometimes have trouble letting people see past the surface level. This can result in friendships that are based on surface attributes. Unfortunately, relationships like these tend to fall away easily as life moves on and changes. ISTPs are often aware of this problem as well, with little idea of how to change it, and may suffer from a long term sense of loneliness that makes the whole situation worse. They need to learn to connect with people more deeply if they’re going to be happy with their personal relationships. But ISTPs don’t always want this depth. They value their freedom and the openness of their routines and often prefer to keep things on this surface level. This can mean that they let go of their friends too easily, when something more interesting comes along or when they feel like their friends are trying to restrict them in any way. But despite this, ISTPs usually thoroughly enjoy their life. They have a deep connection to the present moment and a focus on the information from their senses that can make every moment interesting and worthy of attention. That’s why they often have a variety of interests and hobbies, because the extraverted sensing auxiliary function enjoys experiencing life through different lenses. 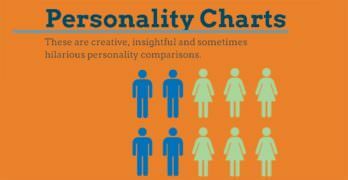 And this variety of hobbies and always present desire to experience more makes ISTPs pretty popular as friends. ISTPs don’t usually make good friends for NT types. ISTPs have a core deep focus on the present and on getting into action and this dictates most of their choices and their lifestyle. So NTs, with their abstract way of seeing the world and focus on thinking above action, often bore and frustrate them. ISTPs just don’t understand the point of thinking about things if they can’t be used in the external world. NTs too will have trouble in a relationship like this, because they tend to bond based on deep conversations whereas ISTPs prefer to be in action. This combination of conflicting qualities often makes a relationship between these types almost impossibly difficult, and both types are probably better looking elsewhere for their friendship needs. ISTPs will usually have the same problems with NFs that they have with NTs. ISTPs are naturally thoughtful and creative, but they tend to focus on practical ideas that can be immediately applied to make something in the external world. NFs, with their love of ideas just because and without the need to always put them into action, will have little in common with the practical ISTP. The NF focus on emotions may also confuse the ISTP type, who is a practical thinker with little patience for emotional drama. There is an innate physicality to the ISTP type, who uses extraverted sensing as their auxiliary function, which can sometimes make them impatient with people who focus on emotions above everything else. The ISTP would rather get on with things and make changes than focus on emotions and this can make them seem insensitive to NF types, who see the world through an emotional lens. ISTPs usually prefer to be friends with other personality types that use a sensing function like SPs. This shared focus on the present and the concrete makes conversations easy and ensures that they share similar interests. These are important considerations for ISTPs in relationships, who like to bond while doing different activities. When the ISTP finds a relationship like this, they’re open minded, flexible and easy going, which makes them ideal friends for other novelty seeking SPs. The ISTP will be perfectly happy to explore new interests with adventurous SPs and will appreciate their very physical approach to life. Practical, concrete SJs usually make good friends for the ISTP. Their shared sensing function can make their communication easy and focused on the present, where the ISTP prefers to live. The only potential problem here is the SJ focus on structures and rules, which the ISTP can find too constricting. 1 ISTPs need their freedom, even in relationships, and anyone who tries to restrict that freedom will usually find themselves unceremoniously left behind. But if the ISTP and the SJ can overcome these control issues they will find their lives much improved by their different approaches to organization and control. ISTPs can sometimes be frustrating friends. They tend to bond based on actions and activities rather than conversation and emotional connections, which can make some of their bonds too shallow to last very long. But ISTPs also tend to gather friends and acquaintances naturally, which means that they have a good chance of finding people who are a good match for them. And when they find friends who are active and interesting and don’t restrict their own journey, they’ll quite happily share their love of life in a deeper way. Robinson T. Michael. “Extraverted Sensing (Se) Explained“. (Retrieved on Jan 2018). Dr. Drenth A. J. “Extraverted Sensing (Se) vs Introverted Sensing (Si)“. (Retrieved on Jan 2018). SJs use introverted sensing, which is focused on taking in information through their senses and comparing it to the past. They have a deep respect for the past and tend also to be more organized and structured in their external life. This is due to their J (Judging) designation, which leads them to control their external world. As a P (Perceiving) designation, ISTPs don’t share this need for external organization.